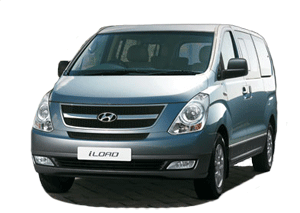 Offering three basic models in the various specifications available, Hyundai manufacture the iLoad range of vans all powered by the 2.5CRDi diesel engine which has 116ps of power and excellent low down torque to make delivery driving easier for those at the wheel. There are three models, the classic panel van which has a steel bulkhead to enhance security and safety of the occupants, the Comfort panel van which can be had with an excellent and sensibly prices range of accessories and finally the Comfort Crew van which will allow seating for five occupants and still offer a good payload. The load compartment can be either specified with a tailgate or double folding doors for ease of access to suit your business needs. hyundaivansforsale.com can offer a wide and diverse range of Hyundai vehicles for a multitude of uses and needs. Select a Hyundai van from our options list and view what deals we have on offer today. The Hyundai name is synonymous with innovation, design and flair through the ages; and these philosophies clearly apply to the modern range of Hyundai vans.